Conversation Board - A Recent Experience also HI! Conversation Board › Organized Internet Information Links Index › Out of Body Experience › A Recent Experience also HI! A Recent Experience also HI! Hi everyone, this place is great, I've learned many things already and I've only been lurking a few hours! I look forward to learning more and hopefully contributing too. Anyway, here's a recent experience (and my favorite so far) taken from my diary. 11/07/2009 - Morning - approx 5 hours rest before event - body in N-S position. "I decided not to practice last night as I was feeling way too tired, but this morning something amazing happened, first I was in a dream a young women stood before me, she was beautiful, what I imagined as my perfect girl. She walks away from me and speaks to another man, everything about her changes, she changes to his perfect women, it seems we are superimposing our own image of perfection onto this being, I begin to wake for some reason I try to make her appear next to me but obviously it doesn't work. I could hear music, flutes and spheres (like metamusic) it is very soothing, I can feel the sand in my feet I run around in excitement screaming “I’M IN EGYPT!! !” feeling very proud of myself. I can see three big pyramids in the distance but there is something weird about my vision when I look around I can see a red banner in my vision saying call now as if it were a holiday commercial ha-ha! I think a stray thought had me and next I found myself shooting through the stars I am at a red planet it has rings it looks like the wallpaper I have on my laptop. I look around I can still hear the relaxing music I am holding a blanket! I have no idea why, I keep hold of it and look around. Tears are running down my face as i type this the view of being in space, all my childhood dreams have come true. I snap out of my awe a little and decide to experiment, I see a distant star, it must be at least a few light years away ) I stretch towards it and I’m there in an instant, suddenly I’m spinning through space it’s very fun, It was like releasing a rubber band you have stretched over your thumb but instead of stopping at the other end of the band it comes off your thumb and spins in the air, I start to worry a little. I think the word “home” I stop spinning but then I shoot off in the opposite (what i sensed) direction and I am heading towards another galaxy it has a weird geometric shape not like anything our scientists have seen. then I think well this isn’t working, I see a large symbol/shape in some bright creamy clouds (I've drawn it) I start to worry that I might be nearing the edge of the universe (possible?) A thought comes to me; “infallible return signal” so I think about moving my fingers on my right hand I stop (I turn?) I see what looks like our galaxy I shoot towards one arm of it (automatically) there is a flash of light and I am back in my body. I sit up, tears are running down my face in excitement and awe. I come downstairs to type these notes and still more tears of awe come, I send out a feeling of gratitude (a very big one) to my higher self and any being that helped in this experience. Now I realize what the blanket was!! My childhood comfort blanket! Maybe this was the reason I was not so panicked and frightened, the soothing music is something I may have thought of to calm me down but i would have never thought of the blanket. and what's with the commercial banner in Egypt? Somehow I feel it's connected to the dream I had beforehand. maybe it's a lesson, you superimpose your own reality?" 3. I need to be able to control my thoughts the stray thought of my screen saver picture shot me to a similar looking planet not even in our galaxy! 6. I can remain fairly calm even when I am possibly thousands of light years away and use logic and reason to solve problems rather than panic blindly. I would appreciate any comments, opinions, similar stories. Really I'm open to anything you have to say. Re: A Recent Experience also HI! Thanks for sharing Mike. I especially like your cognition that "Distance doesn't really matter." So, what is the symbol/shape? What does it look like? What is the infallible return signal? What does it look like? I always keep a pen and paper handy so I drew it as soon as I returned. What I find interesting is, I ended shooting towards these creamy clouds with that symbol in it when I thought of the word 'home' but I didn't really think about where home was. This warrants one interesting possibility. One day if I have enough courage I'm going to think about that symbol and see where I end up. As for the 'infallible return signal' it's something Robert Monroe mentions in his first book, you just think about moving a part of your physical body like the fingers and you automatically return. Sort of an emergency return button. Worked great. Wow. It looks kind of like an egg, kind of yin-yang, kind of like a doorknob.....seems like a good symbol to meditate on. A door? A door to more than one kind of home? Or, another language? A symbol, means 'home' to you? I think you bring out some important ideas in your story. The sense of awe, wonder, gratitude can be overwhelming when traveling, in some areas. Even among such strong emotions it is possible to observe oneself, to think, and to determine a course of action. The 'return' signal, to move a part of the body....to practice 'coming back' is reassuring. It is always a choice, to stay or to go, to remember, to know. As of now I have no idea what it means all I can do is speculate, considering my thinking pattern at the time it seems possible. Hopefully more answers will come in time.
. The sense of awe, wonder, gratitude can be overwhelming when traveling, in some areas. It certainly was overwhelming for me, as a young child I spent hours contemplating all the different planets and stars I was going to visit finding out later in life that it wouldn't be possible was devastating. All I could do is watch through a telescope, then to realize that it is possible again really awakened the child within me, it was more than I had ever imagined, It still brings "butterflies" in my stomach when I think about it and I'm sure it's going to take me a while to get over it. Even among such strong emotions it is possible to observe oneself, to think, and to determine a course of action. I was not expecting this to happen and normally when something unexpected happens, I panic, this time however I was very calm and composed. This alleviated a big fear I had of being lost and unable to find my way back, it's the first time I have used it. I also see an exclamation mark right side up/ a person in a robe upside down. 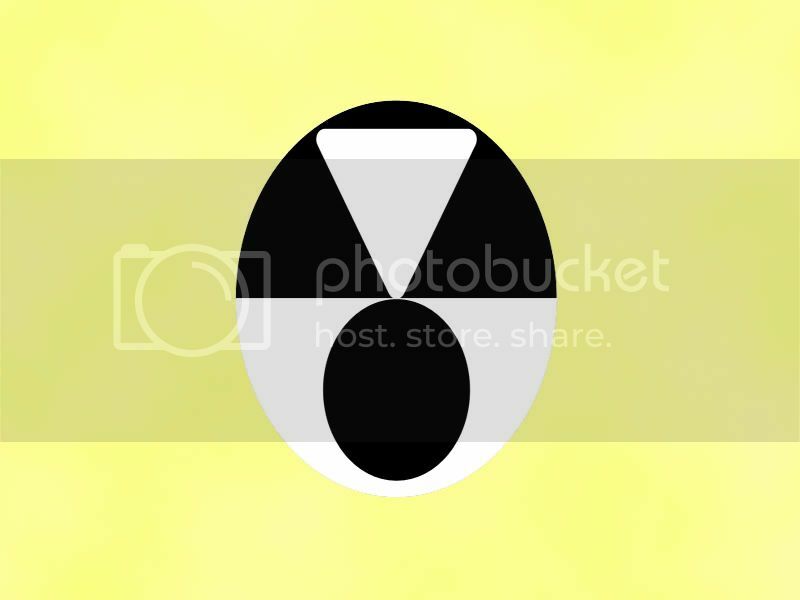 There is a face with an open mouth, two uptilted eyes, some kind of head covering. I see a face with its mouth open and its eyes grimacing with the force of its yell--"Stop! Go back! " Home for some souls is way beyond the limits that our blue cord can reach! Your intent may have been beyond your abilities to find your way back. If the cord breaks a soul can float away, much like an untethered astronaut. I heard about that possibility in Eckankar. Sort of looks like the back of Cartman's (SouthPark) head. I thought of the old Civil Defense Logo! Great Mike! Keep us posted about your travels! This is what I get: the "call now advertisment" is an invitation to explore. The symbol is indicative of the "cosmic egg" and heaven. The triangle pointing down indicates heaven (a triangle pointing up is earth, and combined it is "creation"). The cosmic egg represents the Healing Sun or the spiritual sun or the center of our galaxy. The ancient egyptians and many religions have worshipped the "sun" and the center of our galaxy for this reason. The center of our galaxy is seen by many civilizations as our "home." William Henry also has very interesting videos on youtube. When you look at the center of the milky way it is similar to the bright creamy clouds that the symbol was (floating?) in, the only problem I have with this is when I was thinking the word home I started moving towards a galaxy that I didn't recognize then towards these clouds this suggests (to me at least) that this was not our milky way, I also got an (unexplainable) sense that I was heading in the wrong direction, Then whilst using the return signal I could see our galaxy and then got a sense of where my physical body was and automatically shot towards it. At least that's my interpretation....for what it's worth. "Starseeds" describe evolved beings from another planet, star system or galaxy, whose specific missions are to assist Planet Earth and her peoples to bring in the Golden Age at the turn of the millennium. 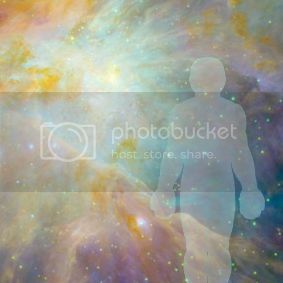 Starseeds incarnate into the same conditions of helplessness and total amnesia concerning their identity, origins and purpose as do Earth humans. However, the genes of starseeds are encoded with a "wake-up call" designed to "activate" them at a pre-determined moment in life. Awakening can be gentle and gradual, or quite dramatic and abrupt. In either event, memory is restored to varying degrees, allowing starseeds to consciously take up their missions. Their connections to the Higher Self are also strengthened, permitting them to be largely guided by their inner knowing. Many starseeds are practiced in rapid "spiritual weight loss". Starseeds can throw off in a few years the limiting behavior patterns and fears that Earth humans might take many lifetimes to accomplish. This is because starseeds, having been on similar missions to other planets, are quite familiar with the procedures and techniques for raising consciousness. The concepts of star ships, intergalactic travel, varied psychic phenomena and sentient life forms in other galaxies, are, of course, natural and logical to them." I like this concept of starseeds, that last part certainly applies to me, or at least it did as a child. There was also a part on that site where it talked about starseeds examining human behavior/emotion and finding it puzzling and illogical, I do this a lot but I was under the impression that most people do this anyway? I'll certainly hold this as a possibility. Thanks for the info. and the distance really doesn't matters.. keep posting such travels, its really interesting..